middle and big power electric machines electrotools. MT – tropic sea climate zone. Pressed with insulating moulding composition. Steel grip holders (St) are produced as tin holders. 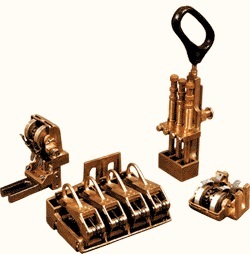 for brush holders designed for slip-ring motors we assume unit pressure 200 – 300 G/cm2. Construction details of brush holders are shown on drawings, main dimensions are given in tables in catalogue cards. Our specialists can help you to choose suitable constructional version. 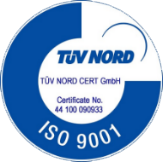 All our products are produced according to requirements of Quality Managing System in area of construction, production, assembly and service, compliant with DIN EN ISO 9001 : 2000 AND ISO/TS 16949:2002. Brush holders are very strong controlled in aspect of main dimensions: brush socket, pressure and reach are controlled in 100%. Besides, we are regularly controlling the quality of all dimensions of manufactured parts and components. Our system enhances the quality of our products and ensures maximal customer’s satisfaction.